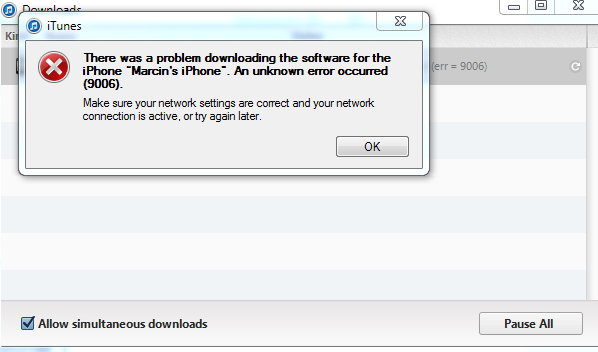 Unfortunately and again Apple has some problems with delivery its new system. 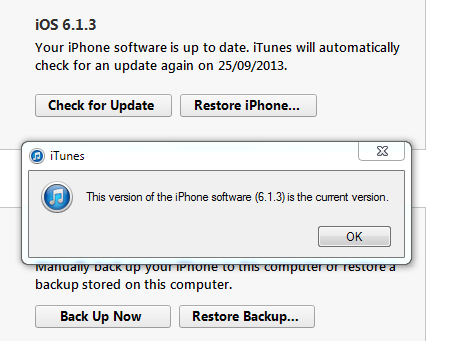 First iTunes for Windows 7 says that doesn’t need to be updated (iOS7 requires iTunes version 11.1). Strangely Apple Software Updater finds newest version. This is not the end of problems. 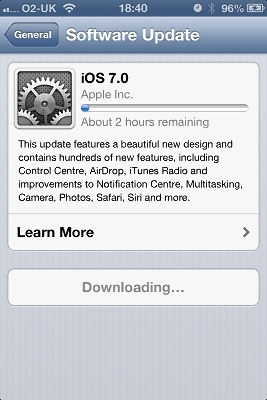 Finally after several tries iOS7 is downloading… still only available OTA. 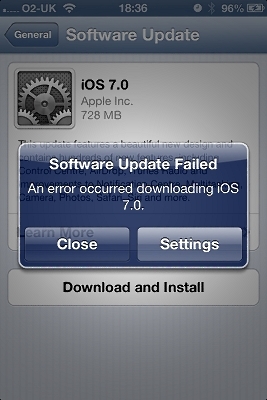 Version after version Apple seems to have more problems releasing its new system. Update: During writing that post, new iOS7 has become accessible from iTunes. It is going to be annoying.